In a few weeks, Samsung is expected to host a grand event in New York in order to take the veil off its highly anticipated Galaxy Note 5 phablet. Samsung enthusiasts loved the Galaxy Note 4, which got unveiled at IFA 2014 in Berlin, so it’s no wonder a lot of hype has built around the Galaxy Note 5. The phone has recently gotten benchmarked, revealing that it runs on the Exynos 7420 and not the Exynos 7422 like it was previously believed. It scored 69k points in AnTuTu, which is comparable to what the Galaxy S6 managed to score. Anyway, the leaks related to the Galaxy Note 5 have been intensifying in the past few days in anticipation of the big event. Now, the folks at Droid Life have apparently been sent a batch of live pictures showing the Galaxy Note 5 being handled. All sides of the phone are visible in the gallery, so we can now confirm some aspects that we weren’t 100% sure about before. A few days ago, we told you that there was a slim chance the Galaxy Note 5 might come with a microSD card after all, but today, after seeing the images, we can annul all hope for you. No, the Galaxy Note 5 will not take advantage of expandable storage and will be offered in 32GB/64GB or 128GB configurations. The live images are also showing without a shadow of doubt that the phone will not take advantage of a new USB Type-C port, but of a regular USB. And that’s not all as far as bad news go. 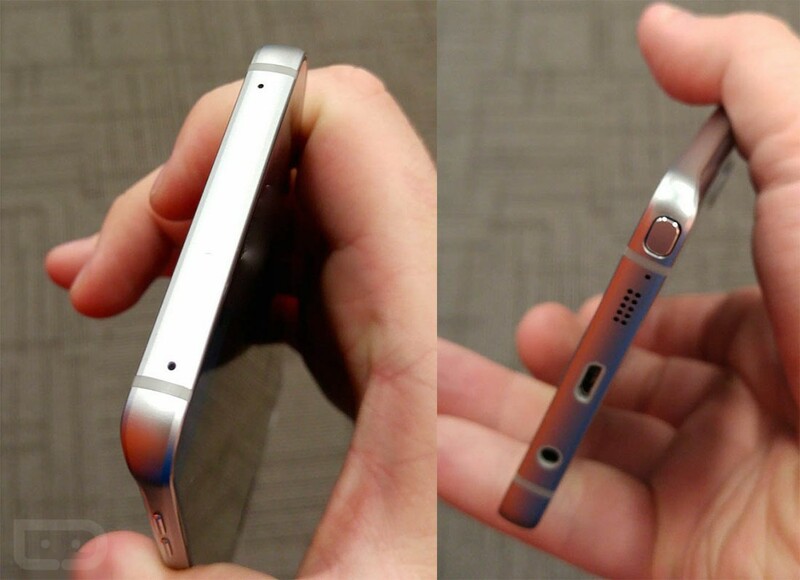 Previous information indicated that the Galaxy Note 5 should arrive with a larger 4,100 mAh battery. Well, according to the newest information, the handset will actually be powered by a non-removable 3,000 mAh battery, which is smaller than what the Galaxy Note 4 brought to the table. One of the biggest complaints users of the Galaxy S6 had was the skimpy, insufficient battery life, and it appears that with the Galaxy Note 5, Samsung will once again sacrifice function for form. In the software department, TouchWiz will apparently let you customize the Air Command menu (with Instagram being part of the options). Air Command pops up when users take the S Pen out of the phablet. 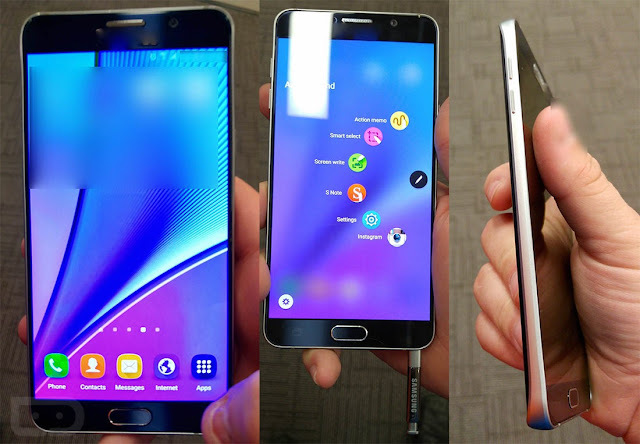 Take a look at the live images of the Galaxy Note 5 and tell us what you think in the comment section below.